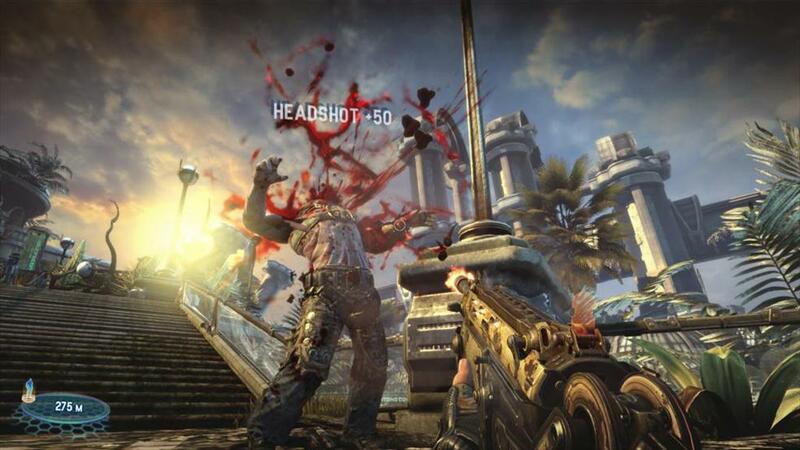 From Epic Games (Gears of War & the Unreal series) and there subsidiary People Can Fly (Painkiller) comes an over the top FPS by the name of Bulletstorm. The game is a throwback to the cheesy action games of yore like Serious Sam & Duke Nukem (don’t worry it’s not like Duke Nukem Forever, just give it a chance) as opposed to the super serious and dark shooters we see so often now like Gears of War & Halo. That’s not to say that this game doesn’t try to create an interesting story, it just means the main selling point is its quirky action, which is highlighted by the game’s skillshot system. The way this system works is by giving you a list of all the different types of attacks that you can perform with each weapon as well as ones that can be triggered by stuff in the environment. The purpose of this is to get you to experiment with your weapons and kill people in new and satisfying ways. 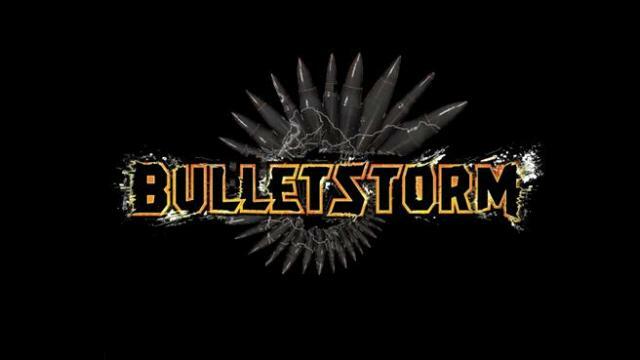 A number of games nowadays give you challenges like “kill a hundred enemies with gun A” or something like that but in Bulletstrom they just want you to try each of the skillshots once and then play however you prefer. For instance maybe you prefer to just hold down the trigger and mow down everyone without any real care for accuracy which will get you “Full throttle” or maybe you like to take aim with the sniper rifle and shoot them in the nuts getting the “Nutcracker” skillshot. Every time you perform a skillshot you get skillpoints which you can use to purchase ammo and overloads. Overloads are special attacks, every gun has one, and they do an immense amount of damage. For instance the PMC’s (the assault rifle) overload shoots the whole clip at once destroying most enemies instantly. One thing to note about the skillpoints system is that you will get way more than you need, so you shouldn’t worry about ever running out. When I first played through I tried to save them for a time when I might get stuck and need tonnes of ammo and overloads but that just made the game harder and prevented me from trying a lot of skillshots. Also the points that you have left after you complete the game will not carry over when you try it on a harder difficulty (I found this out the hard way) so use as many as you want because there is no point in saving them. Now none of this really matters unless the game is fun, so is it? Well yes, yes it is. The game’s controls are solid, the guns all feel rewarding even without the skillshots and the pace is kept fast throughout most of the combat. The only real problem that I had with the combat in the game was that for the most part it is a lot faster(and will probably get you more points) to stand by spikes in a wall or a cactus and kick enemies into them for an instant kill rather than using your weapons. This gets repetitive rather quickly which unfortunately is the exact opposite of what the game is going for with their skillshot system. 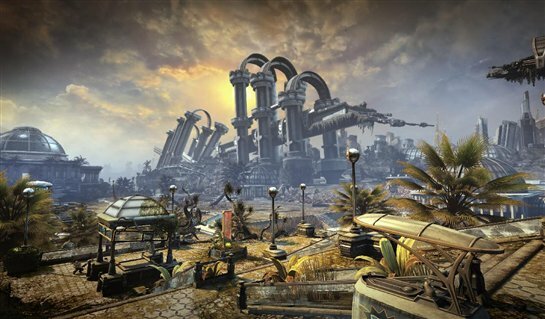 The story for Bulletstorm is kind of an odd fit. You see the game tries to be laid back, so you can just pick up and play without getting involved in the deep dramatic stories seen in other shooters and they do this through stuff like making fun of the violence with outrageous skillshots and being crude with none stop swearing. Yet to my surprise the story is actually very dark and mature. The game starts off with you as Grayson Hunt, a space pirate, whose ship crashes on a mysterious and dangerous planet. The whole story is based around Hunt’s regret for the terrible tragedy that he has brought on his friends and many other mistakes that he has made in the past as well as his quest for redemption and revenge. It’s weird to see how much of an emotional emphasis they put on Hunt at certain points as a result of his actions and the people he has gotten killed when the gameplay sets out to make it seem like killing is a joke, nothing but fun. While Hunt’s burden is the backbone another main element in the game’s story is the quest for survival as Hunt and his partner Ishi try to find a way off this planet. The planet is an interesting one to say the least, very colorful and quite beautiful from a graphical and artistic standpoint. However it is filled with dangerous tribes and plant life both of which will try to kill you. The good thing about that is it gives you many opportunities to use the environment against your enemies and saves you some of the work. The game has missed out on what I think would have been a good opportunity by keeping the campaign single player only. However the game does have to other game modes to try out. The first is Echo mode which takes certain sections of the campaign and has you run through them trying to earn as many points as possible and compete in leaderboards, this too is single player only. It’s fun to revisit bite sized parts of the game and challenge yourself to get 3/3 stars but you already did all of this in the campaign so there isn’t anything new. The second game mode actually lets you play with other people! It’s called Anarchy mode and is basically Horde mode with the added bonus of team skillshots. These are very important because in order to complete rounds you must not only kill all the enemies but earn a certain amount of points while doing it. I like that the game was smart enough to change the target score based on the number of players so that you can manage it alone with team skillshots. Another addition to this mode is called Bloodsymphony which not only sounds awesome but allows you to instantly kill any enemy, aside from bosses, with a single kick, leash or slide. It can used once your team amasses enough points so teamwork is even more important here than in any modes similar to it found in other games. It’s a fun mode as expected, there are a lot of cosmetic upgrades to be found in this mode as you progress, but I found that since the action is so fast all the time in Anarchy when you play in a group of 4 it becomes chaotic. I found it hard to target because everyone is leashing enemies, so if you’re about to kill someone they can just be ripped away so quickly you can’t do anything which makes it hard to focus on one enemy at a time. 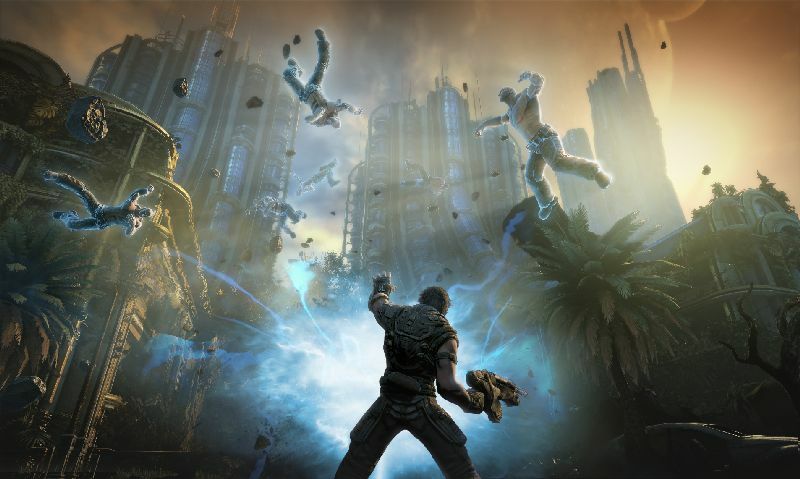 Bulletstorm is a solid game with a lot of fun to offer but the way the story’s tone contrasted the gameplay’s feel made it seem like People Can Fly and Epic had two separate games in mind, one that had a deep and meaningful story and another that was just crazy immature fun. The single player is a decent length with a lot of unique aspects and the other modes are fine additions as well. While I wish the game’s campaign would have been cooperative it is still worth checking out, probably just a rental though. 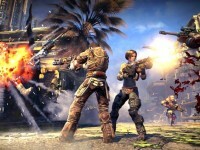 I just got Bulletstorm from my Blockbuster Movie Pass a few days ago. I am sad to say that I have completed the campaign in just a few hours. The game play and the skill shots are fun for a short time. They get repetitive as you are lead by the nose from stage to stage. Most of the skill shots are set up for you just to knock them down. No skill is required. For all the hype of this game, I am glad I rented it. Instead of waiting for the mail to bring me the next disk in my queue, I am going to go trade Bulletstorm in store. Disappointing games like this are the main reason I had the Blockbuster Movie Pass added to my DISH Network employee account. I was tired buying a new game just to be let down. That’s $60 down the drain. For $10 per month I can rent all the video games, DVDs and Blu-rays I want. I can even stream to my computer or TV. Maybe Ill get Duke Nukem instead.